Mozilla has released Firefox Reality on the Viveport, Oculus, and Daydream app stores. The free new app is a browser focussed upon the VR, AR and MR experience, and fitting web browsing and interactivity into this space in an intuitive and fluid way. With its new browser, Mozilla says that users will be able to experience a leading application for the 3D web and immersive content with the benefits of "ease of use, choice, control and privacy," that are common to the desktop browser. 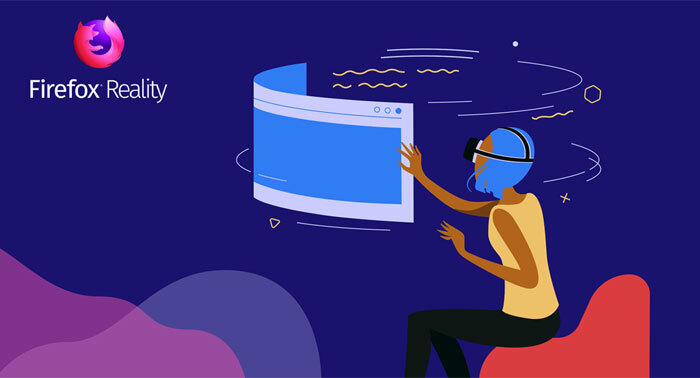 The new Firefox Reality took "years of research, and countless conversations with users, content creators, and hardware partners," to refine with important aspects of browsing such as navigation, text-input, environments, search and more requiring reimagination, said Andre Vrignaud, Head of Mixed Reality Platform Strategy at Mozilla. 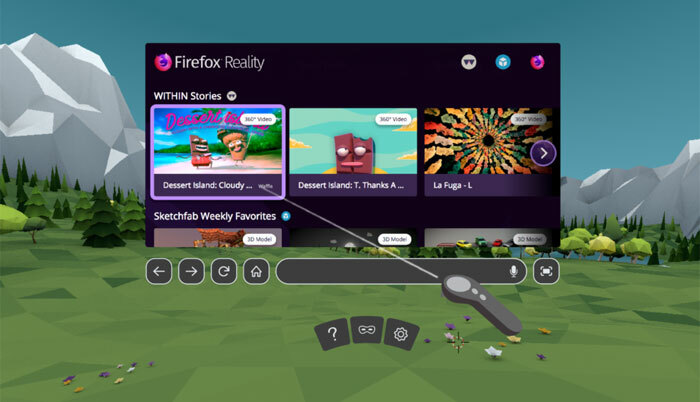 In feedback from VR headset owners, Mozilla found that users had difficulty finding new games and experiences, so that was a further consideration in constructing the Firefox Reality Home Screen, pictured above. Behind the scenes, Firefox Reality uses the new Quantum engine for mobile browsers. It features the smooth and fast performance that is crucial for a VR browser, thanks to a recent tune up to Quantum with GPU rendering acceleration. Mozilla also promises that the browser will respect your right to privacy on the web and provides transparency with regard to data use or collection. This is just version 1.0 but Mozilla says that 1.1 is just around the corner which will add from a growing list of desired features. In the coming months browser functionality hihglights such as bookmarks, 360 videos, accounts, and more will be added. Download for Oculus (supports Oculus Go). Download for Daydream (supports all-in-one devices). Download for Viveport (Search for 'Firefox Reality' in the Viveport store) (supports all-in-one devices running Vive Wave).